generation, specialized in capturing the darker sides of American family life. 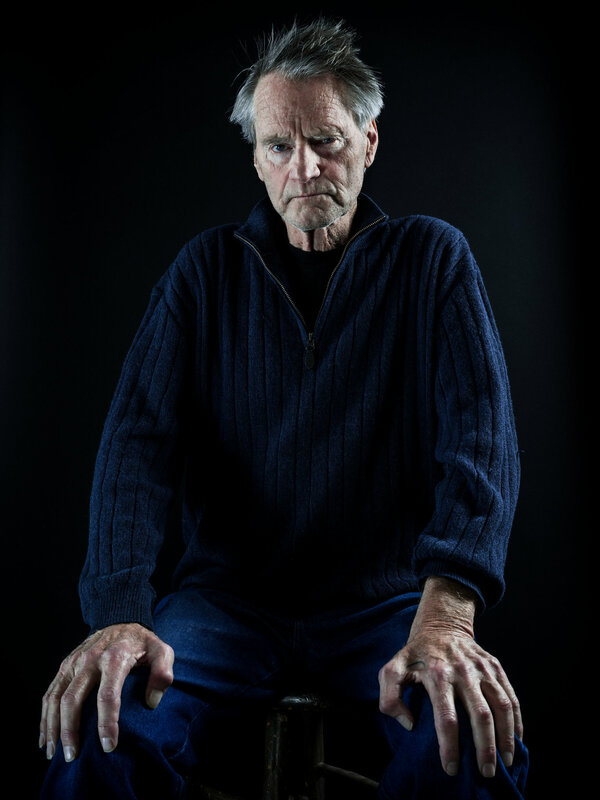 Sam Shepard, whose hallucinatory plays redefined the landscape of the American West and its inhabitants, died on Thursday at his home in Kentucky. He was 73. A spokesman for his family announced the death on Monday, saying the cause was complications of amyotrophic lateral sclerosis, or Lou Gehrig’s disease. 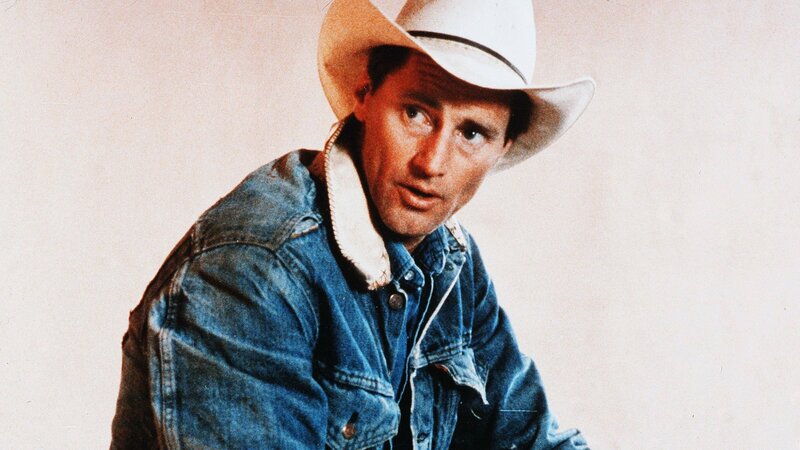 Possessed of a stoically handsome face and a rangy frame, Mr. Shepard became a familiar presence as an actor in films that included “Days of Heaven” (1978), “The Right Stuff” (1983) and “Baby Boom” (1987). He bore a passing resemblance to that laconic idol of Hollywood’s golden era, Gary Cooper, and in an earlier age, Mr. Shepard could have made a career as a leading man of Westerns. A reluctant movie star who was always suspicious of celebrity’s luster, he was more at home as one of the theater’s most original and prolific portraitists of what was once the American frontier. In plays like “True West” (1980), “Fool for Love” (1983) and the Pulitzer Prize-winning “Buried Child” (1978), he dismantled the classic iconography of cowboys and homesteaders, of American dreams and white picket fences, and reworked the landscape of deserts and farmlands into his own shimmering expanse of surreal estate. In Mr. Shepard’s plays, the only undeniable truth is that of the mirage. From early pieces like “Chicago” (1965), written when he was in his early 20s and staged in the margins of Off Off Broadway, to late works like “Heartless” (2012), he presented a world in which nothing is fixed. That feeling of uncertainty was translated into dialogue of an uncommon lyricism and some of the strangest, strongest images in American theater. A young man in “Buried Child,” a bruising tale of a Midwestern homecoming, describes looking into the rearview mirror as he is driving and seeing his face morph successively into those of his ancestors. Mr. Shepard wrote more than 55 plays (his last, “A Particle of Dread,” had its premiere in 2014), acted in more than 50 films and had more than a dozen roles on television. He was also the author of several prose works, including “Cruising Paradise” (1996), and the memoir “Motel Chronicles” (1982). Though he received critical acclaim almost from the beginning of his career, and his work has been staged throughout the world, he was never a mainstream commercial playwright. Several writers who grew up studying Mr. Shepard’s works said that they were struck by his boldness. Christopher Shinn, whose plays include the Pulitzer finalist “Dying City,” said he was reminded of Mr. Shepard’s gifts as a writer while watching “Buried Child” Off Broadway last year. In the relatively naturalistic “True West,” two brothers of opposite temperaments find themselves assuming the personality of the other. (John Malkovich and Gary Sinise made their names in the Steppenwolf Theater Company production; Philip Seymour Hoffman and John C. Reilly memorably traded off the parts in the 2000 Broadway revival.) Roles within families depicted onstage continually shift and dissolve, as in Mr. Shepard’s great “A Lie of the Mind” (1985), the title of which might serve for every play he wrote. That point of view received its fullest and most rousingly theatrical incarnation in “Fool for Love,” a portrait of possibly incestuous bedmates who spend their lives running away from and toward each other as fast as they can. The play received its first Broadway production only two years ago, starring a ferocious Sam Rockwell and Nina Arianda, in roles embodied three decades earlier by Ed Harris and Kathy Baker. The dynamic of love in that play, as it is for family in “True West” and “Buried Child,” is the wrestling match. Cast members in Shepard plays are often required to tear down the set, literally (in his early “La Turista,” a young man walked through a wall), and engage in highly physical fights. Bruises, sprains and broken bones are common casualties of appearing in a Shepard production. Mr. Aukin said Mr. Shepard told him of his illness before they began working on the production, as he did with at least one other recent collaborator. But the playwright largely kept his battle private. He is survived by his children — Jesse, Hannah and Walker Shepard — and his sisters, Sandy and Roxanne Rogers. Born Samuel Shepard Rogers III on Nov. 5, 1943, he came naturally by his Strindbergian view of love, marriage and family. The father for whom he was named was an alcoholic, nomadic man, and he haunts Mr. Shepard’s work, in the ghostly form of the cynical, romantic narrator of “Fool for Love” and the title character of “The Late Henry Moss” (2005). Known as Steve Rogers through his childhood and adolescence, the younger Mr. Shepard grew up on his family’s avocado farm in Duarte, Calif. Jobs in his youth included stablehand, orange picker and sheep shearer. He briefly attended Mount San Antonio College, as an agriculture student, but dropped out to move to New York in 1962, having discovered jazz and the plays of Samuel Beckett. Besides acting in films, he directed a few, including “Far North” (1988), which he wrote and which starred Ms. Lange. Mr. Shepard wrote or collaborated on screenplays for, among others, the directors Michaelangelo Antonioni (“Zabriskie Point,” 1970), Robert Frank (“Me and My Brother,” 1969) and Wim Wenders (“Paris, Texas,” which won the top prize at the 1984 Cannes Film Festival). Another screenwriting collaboration was with Mr. Dylan, for his widely panned, self-referential 1978 film “Renaldo and Clara,” described by one critic as a “four-hour fever dream” about the rock ‘n’ roll life. Most recently he portrayed the patriarch of a troubled Florida family in the Netflix series “Bloodline.” But the role that may have matched actor and subject most neatly was Chuck Yeager in “The Right Stuff,” Philip Kaufman’s adaptation of Tom Wolfe’s book about the early days of the space program. It earned Mr. Shepard an Oscar nomination. Speaking of how he creates his characters, Mr. Shepard once perfectly summed up the artful ambiguity that pervades his work and is a principal reason it seems likely to endure: “There are these territories inside all of us, like a child or a father or the whole man,” he said, “and that’s what interests me more than anything: where those territories lie. “I mean, you have these assumptions about somebody and all of a sudden this other thing appears. Where is that coming from? An earlier version of this article misidentified Chuck Yeager’s occupation in “The Right Stuff.” He was a test pilot, not an aspiring astronaut. Sopan Deb, Patrick Healy and William McDonald contributed reporting. This entry was posted on 3 August, 2017 in homepage. Bookmark the permalink.